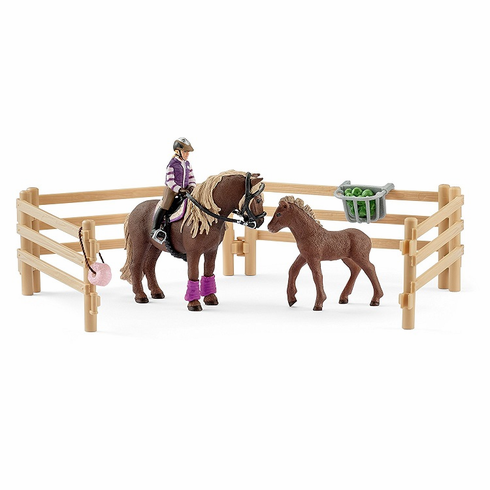 Schleich Rider w/ Icelandic Ponies. The rider is saddling her beautiful Icelandic pony mare so she can practise the t�lt and flying pace, the two gaits that the breed is known for. After the invigorating training, she tends to the young Icelandic pony foal and fills its rack with delicious hay so that it can grow up to be as big and strong as its mother.